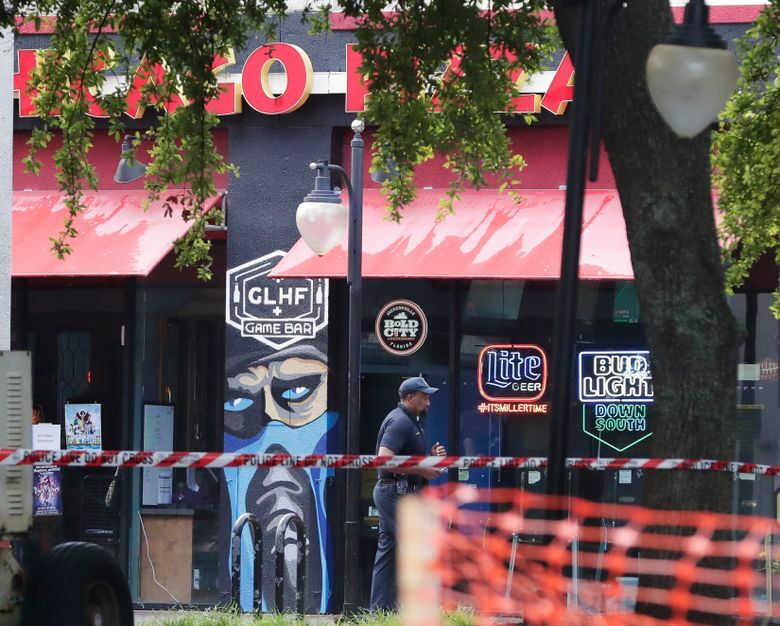 After a gunman killed two people and wounded 11 others in a shooting at a video game tournament in Jacksonville on Sunday, the world of competitive video gaming has been thrown into into the spotlight. JACKSONVILLE, Fla. — A 24-year-old gunman who fatally shot two young men at a video gaming tournament in Florida appears to have targeted other gamers during his shooting rampage, suggesting the suspect intended to harm people he knew from the tight-knit esports community, authorities said Monday. Police identified the two young men killed on Sunday as Elijah Clayton, 22, of Woodland Hills, California, and Taylor Robertson, 28, of Giles, West Virginia. Ten other people were injured in the shooting, while an 11th was treated for an injury that did not involve a gunshot. The mass shooting shook the gaming circuit of esports, a major industry where serious players, some of them former athletes, travel the country to compete in lucrative tournaments streamed live to online spectators. The Jacksonville event was a regional qualifying round for the Madden NFL Championship Series, where regulars knew not only Clayton and Robertson but also the gunman, David Katz, 24, of Baltimore. Kivlen and Clayton, who went by the online handle “Trueboy,” met online about five years ago. Kivlen, known online as “Young Kiv,” was a high school junior who had hurt his arm playing baseball and was looking for a new pastime. Though Clayton lived in Southern California and Kivlen in Seattle, the young men eventually met in person at a party and became the kind of friends who texted each other on a daily basis, often for hours. After his elimination, Kivlen went to his hotel room and tuned into the livestream of the tournament to watch Clayton in action. Suddenly, a red laser pointer appeared on Clayton’s T-shirt. Kivlen heard gunshots. The stream disappeared. Kivlen frantically telephoned friends at the GLHF bar hosting the tournament at the Jacksonville Landing venue. He reached one friend who was hiding in a bathroom. Katz, who fatally shot himself, had two handguns in his possession, a .45 and a 9 mm, as well as ammunition, Williams said, but investigators believe the suspect used only one of the firearms in the shooting. Both weapons were purchased legally in Baltimore within the past month, said John Wester, the assistant special agent in charge for the Tampa division of the Bureau of Alcohol, Tobacco, Firearms and Explosives. The investigation, in Jacksonville and Baltimore, has yet to reveal a motive for the shooting. Katz had been hospitalized in psychiatric facilities twice as an adolescent and was prescribed antipsychotic and antidepressant medications, according to records in his parents’ divorce case reviewed by The Associated Press. He played video games obsessively as a youth, sometimes refusing to go to school or bathe, and his mother, Elizabeth Katz, told the court she sometimes had to take away his gaming equipment. “His hair would very often go unwashed for days. When I took his gaming equipment controllers away so he couldn’t play at 3 or 4 in the morning, I’d get up and find that he was just walking around the house in circles,” she said, according to a transcript included in the case file. Authorities were searching the house in Baltimore where Katz lived and continuing to interview witnesses from Sunday’s shooting in an attempt to learn how it unfolded. The esports industry is projected to generate nearly $1 billion in revenue this year, according to market research firm Newzoo. Last weekend, almost 20,000 people filled Vancouver’s Rogers Arena (with 15 million watching online) to see 18 teams compete in the final rounds of the “Defense of the Ancients 2” league, better known as “Dota 2.” The tournament featured a $25.5 million pool. OG, the top team in the multiplayer fantasy battle game, split $11.2 million in winnings after placing first at the tournament, according to e-Sports Earnings. Those prizes are raised by the players themselves by purchasing in-game upgrades to make their characters more competitive. That belies the corporate money pouring into the industry in recent years. Few Madden players make a living by playing. But within the Madden ecosystem, this weekend’s event in Jacksonville was an important tournament. Electronic Arts, the publisher of “Madden 19,” puts on three tournaments with different gameplay types, each of which can earn finishers a berth in the Madden Bowl finals in April. The Jacksonville tournament was the Southeast regional qualifier for October’s Madden Classic and featured some of the game’s top players, including Kivlen, who won the 2018 Madden Bowl, and Drini “Drini” Gjoka, the runner-up. 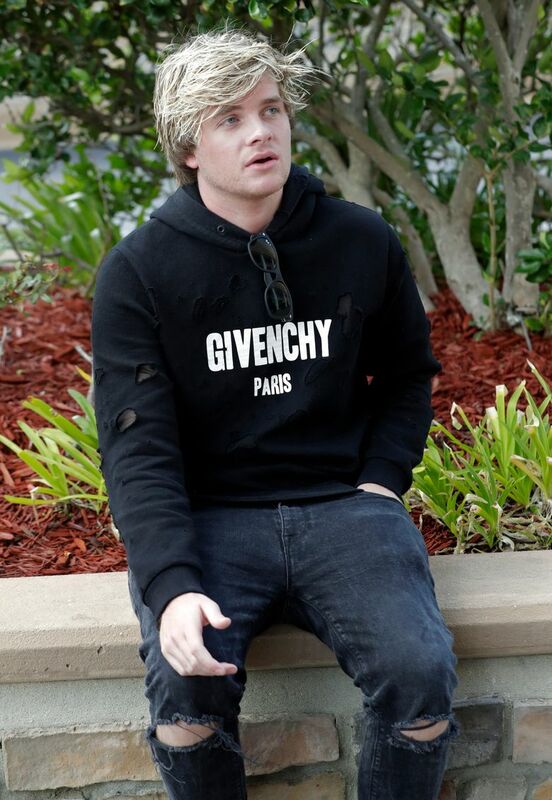 Clayton played esports professionally, making more than $60,000 last year, according to Kivlen, who estimated his own winnings last year at about $140,000. Katz was one of eight finalists in the Madden 17 Club Series tournament in Burbank, California, last year, representing the Buffalo Bills after completing a long-shot 82-yard touchdown pass as time expired during a tournament in Buffalo. After Katz’s win in Buffalo, the Twitter account for the Bills posted an image of a stone-faced Katz posing with Cyrus Kouandjio, a former Bills player. He was interviewed after the win just as a quarterback on the field would be, discussing his gameplay strategy with Steve Tasker, a former Bills player and current announcer. Katz lost in the quarterfinals of the tournament, which had a $50,000 prize pool. Clayton was one of the other competitors in the quarterfinals, though Katz and Clayton did not compete against each other, according to a bracket on the EA Sports website. Dennis Alston, a competitor at Sunday’s event in Jacksonville, told Action News Jax that he and one other player had defeated Katz in the tournament on Sunday, and that neither had been shot. After beating him, he went to shake Katz’s hand, Alston said. Katz attended the University of Maryland but was not enrolled this semester, Wallace D. Loh, the university president, said in a statement. Sunday’s shooting, in a state sadly familiar with mass shootings, seemed to stir little of the public grief that followed other attacks. But with Florida’s primary elections scheduled for Tuesday, Democrats argued that the Jacksonville shooting offered new evidence of the need for substantial reform to the state’s gun laws. Republicans expressed frustration at the scourge of mass shootings but showed little immediate interest in a renewed debate about gun policy just months after the Legislature and Gov. Rick Scott approved one of the most substantial gun-control packages in Florida in decades. Scott, a candidate for a U.S. Senate seat, said this week that the focus in the wake of the Jacksonville shooting needed to be on why a man like Katz had chosen to open fire. Material from The Los Angeles Times is included in this report.